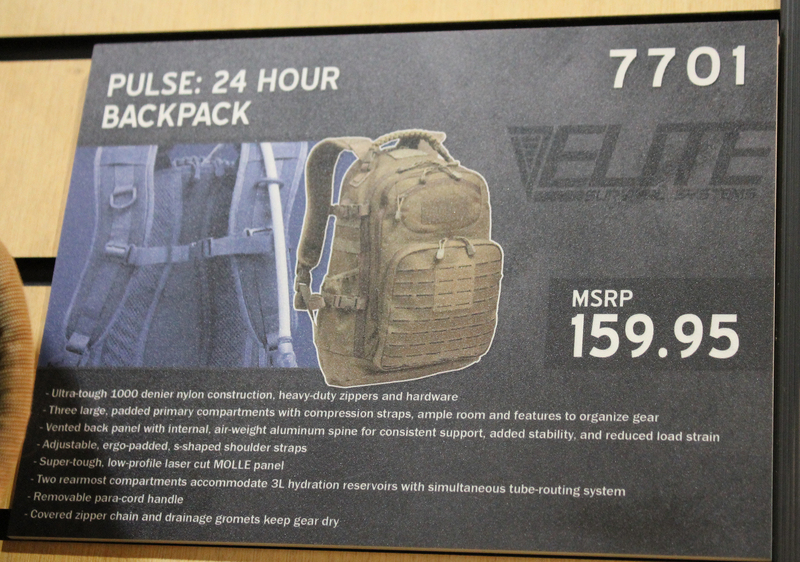 Tony at Elite Survival Systems gave me a tour of their new Pulse 24 hour backpack. It is filled with great features, as you can see. I put it on and immediately tried to trade it for the one I brought to SHOT Show. Well, no rules against trying. The vented back panel and aluminum stiffening spine seem to keep the Pulse off one’s lower and mid-back, the spots where a loaded pack traps heat. I know this happens because when I took off the backpack I was wearing to put on the Pulse, I was sweating under the load. The Pulse, conversely, felt airy. The Elite Pulse has covered zipper chains and grommets to keep your stuff dry. 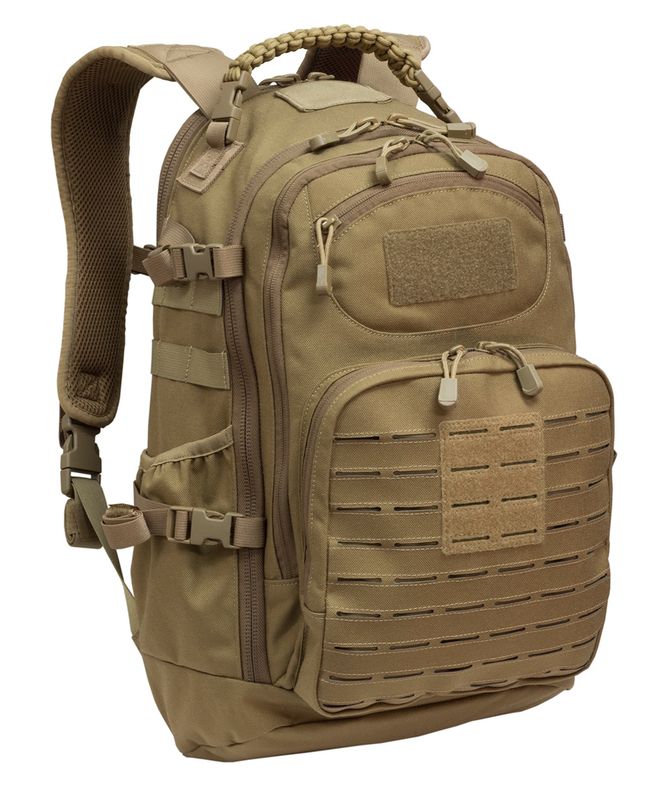 It has plenty of pockets and nooks to stow your small items, so you don’t have to buy admin pouches, which tend to sink to the bottom of a rig, anyway. I liked this backpack. The MSRP for the Pulse will be $159.95. This entry was posted in Off Duty, SHOT Show, Tactical Bags and tagged SHOT Show, tactical nylon. Bookmark the permalink.